Classic Improvement Products of Anaheim Hills, California is a family owned and operated company that was started in 2003. Our contractor’s license number is 858310 and we are fully bonded and insured. The team at Classic Improvement Products is comprised of over 20+ employees and we are proud to say that we use zero subcontractors. We are 100% employee based. 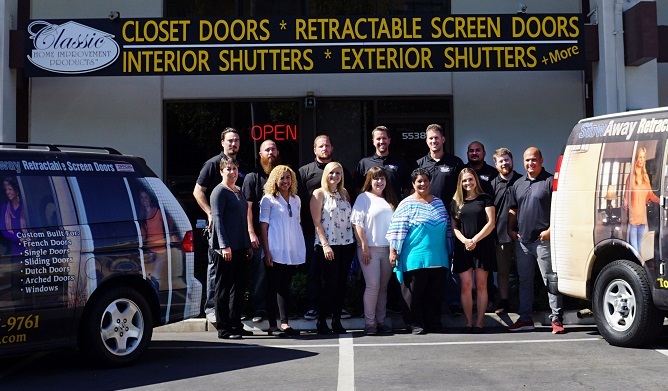 Our team provides sales and installation in Southern California with only the highest quality residential and commercial improvement products. You will know us for our products but remember us always for our service! Our service is unlike anything you will ever experience in this industry and we are honored to maintain a 5-Star Rating with all of our customers! We look forward to working with you in the future!